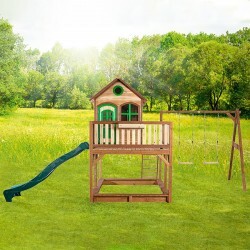 You can see the entire garden from this big wooden playhouse with lots of windows. 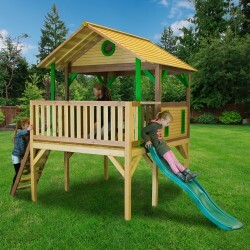 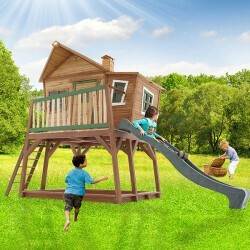 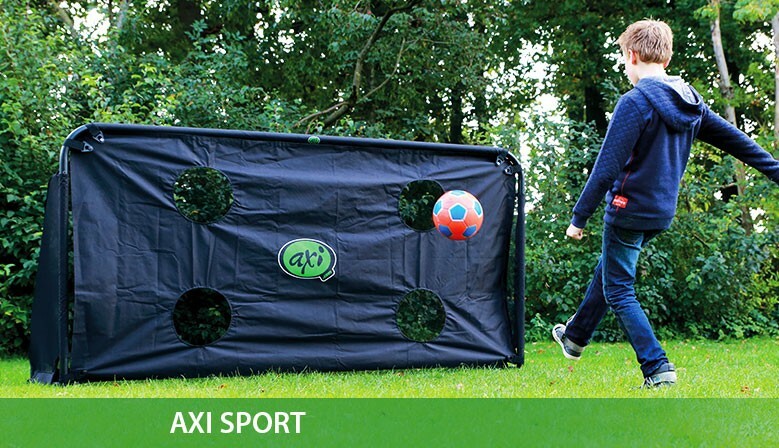 The frame on the bottom can be used as a giant sandpit, so take the slide down and go have some fun in the sand. 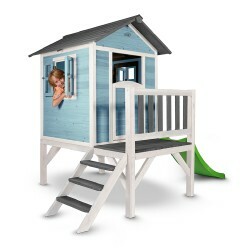 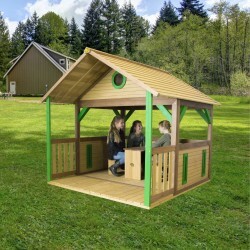 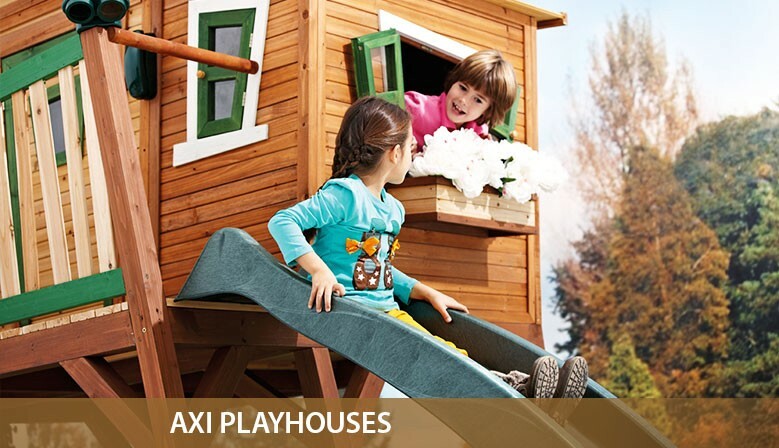 Zazou is a big playhouse with open concept and a beautiful wooden floor.